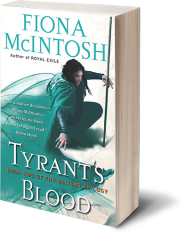 The second instalment of Fiona McIntosh’s gripping epic fantasy, set in a world torn by revenge, love and ancient magic. Ten years have passed since Loethar, the barbarian warlord from the Likurian steppes, devoured the Devona Set with his army of mercenaries, decimating their ruling families and settling in their primary kingdom of Penraven. Believing the Valisar heirs of Penraven to be dead, he has styled himself as emperor and continues his efforts to integrate his people into the native population. But abandoning his more violent methods of persuasion hasn’t quelled the undercurrent of rebellion; for the Valisar heirs do live. 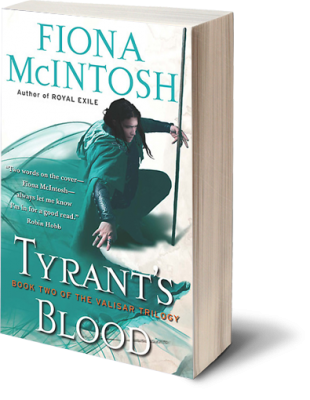 Hidden from the barbarian’s wrath by loyal allies who risk everything for the future of their kingdom, they are bound to return and seek a tyrant’s blood for the havoc he has wreaked.